The Tiguan is another accomplished SUV that has not made a big impact and has been largely unnoticed in India. It has well balanced proportions and its compact size makes it ideal for our roads. The design is neat with straight lines and the subtle styling is brightened by the good looking headlights, tail lights, fog lights, etc. The rear end is as smart as the front, but it's all understated and this attractive SUV does not have the striking street presence preferred by most Indian customers. The high dash gets in way of the frontal view and as you sit somewhat low, even the top of the bonnet is not visible. The ingress and egress is excellent and the H-point is also spot on. The wiper cleaning area is vast too and the diffused washer sprays are extremely effective. The ground clearance is modest; however the Tiguan has an all-wheel drive system with four driving modes - normal, snow, off-road and individual. 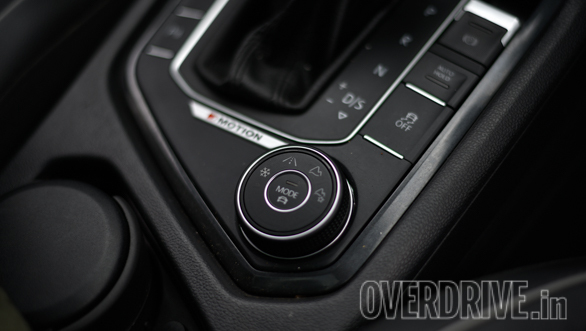 The AWD is closely integrated with the anti-lock braking, electronic-stability and traction-control systems and the throttle response and gears shift points. 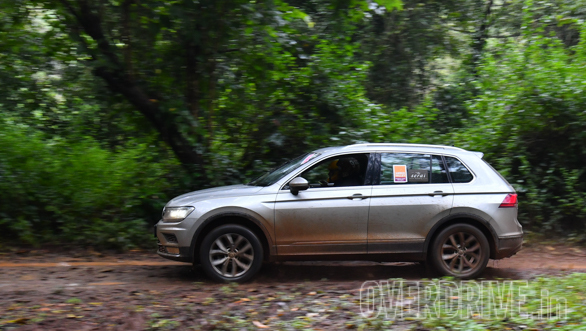 Each mode alters the way this SUV feels and behaves and the all-wheel drive functions very well and as the overhangs are also short, the Tiguan is fairly capable off-road. It also has hill-assist and hill-descent control. 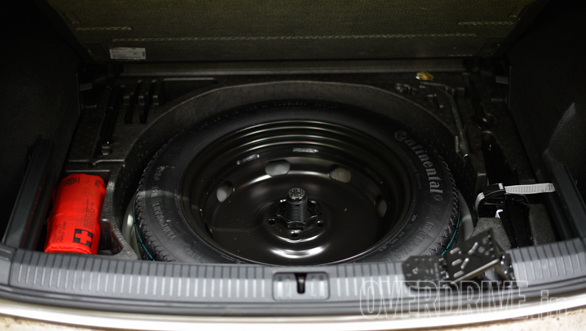 Spare wheel storage is sensible and one of the best and easiest to reach. The Tiguan also comes with two very practical foldable wheel chocks (pictured). This is rare and something not found in most vehicles. The Tiguan is the least powerful car in its segment, but its on-road performance is more than satisfactory. The engine is willing and happy to be pushed and delivers what you demand. The handling is precise and thanks to its compact size and relatively light weight, you can assertively attack corners. The ride quality is comfortable and effectively irons out most road imperfections. High speed stability is terrific too and the cruising range is approx 1,000km, but drops rapidly if you drive hard. The boot space is super. The Tiguan handles brilliantly and has a very responsive and predictable steering. 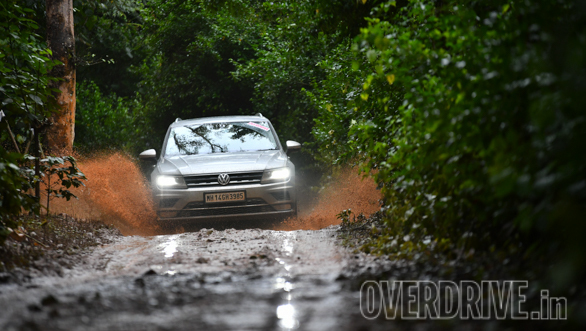 The all-wheel drive provides terrific traction giving the Tiguan a car-like feel. The braking is just right and as the timings show; one can confidently chuck this compact SUV around.